As Ragnar Tørnquist and I sat down to chat at GDC in San Francisco about his upcoming game Draugen, I got the feeling he’s had to explain himself a lot lately. 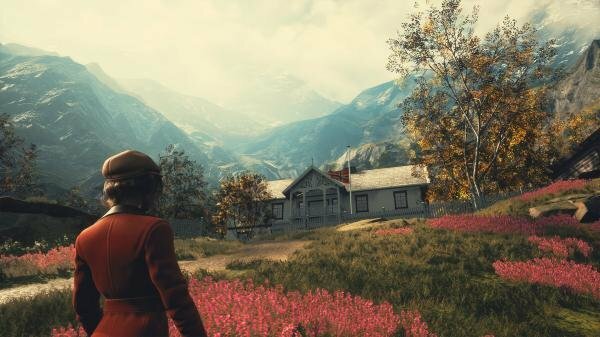 Extensive dialogue has always been a hallmark of Tørnquist’s games, and Draugen looks to continue that tradition. He cited the teen drama Oxenfree as an influence, particularly the way the characters are “engaged in dialogue on a continuous basis … what we’re trying to do is create the sort of overlapping dialogues that people [have] in real life.” Like in Dreamfall Chapters, as you choose from Edward’s dialogue options, you’ll get a glimpse of his motivation for making that statement or asking that question, so you won’t be caught off guard by the words that come out of his mouth. Draugen is “not really a branching game, but the things you say matter and are picked up on later.” When talking to Lissie, you get to choose when and how to interject, whether to interrupt or let her finish talking, which thread to pursue. Or you don’t have to answer—you can stay quiet while Lissie carries on a one-sided conversation. “It’s definitely the most important mechanic in the game, how you interact with Lissie,” Tørnquist said, adding that what starts as a light, bantering relationship between the two of them will shift and change as the story gets more serious. Read on for more insights into Draugen, Ragnar Tørnquist’s feelings about Dreamfall Chapters a few years later, and what’s next for Red Thread Games. Emily: Yeah, you’ve been bucking that for a long time. Ragnar: It’s not because we [don’t want to] make traditional adventure games, it’s just that I like telling stories with new mechanics. 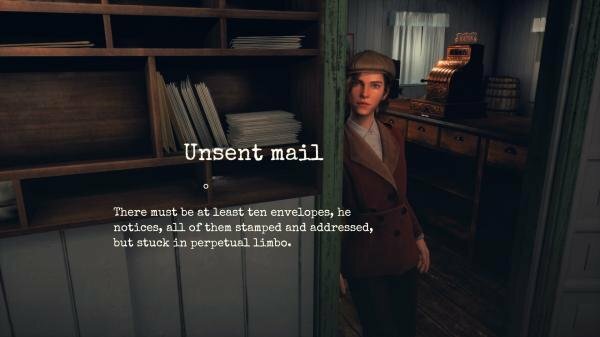 To me a game that’s about conversation and character interaction and exploration, that is an adventure game. Puzzles are not what define an adventure game. And there are light puzzles here; it’s more sort of about figuring out where to go and when to go there, in a way. But, you know, traditional puzzles, we didn’t want that to get in the way of the story. This is not a puzzle game. It’s not Myst. It’s a story. Ragnar: We sort of always want to try something different, but with Dreamfall Chapters we sort of—you know, that was a long hard struggle, and we did something that we’re pretty proud of, even though it has its ups and downs, but we definitely didn’t want to do the same thing again, or even stay in the same universe. 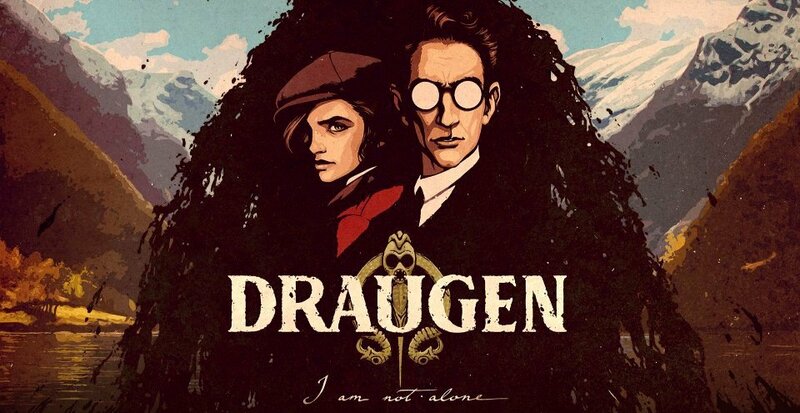 So Draugen actually was born early on in development of Dreamfall Chapters, just to give us something to look forward to, to work on after we finished that, but it’s changed a lot over the years. And it used to have more puzzles, but I think every time we implemented something that felt puzzle-like, we felt, ‘This gets in the way of the story; it just stops it.’ And with this game we want everybody to get through it, we want people to get through it in one, two, three sittings, and just enjoy the story, and not to have any barriers. So it’s not a game that I think anybody’s going to struggle to complete; it’s more, does the story grab you? Emily: How do you think the Dreamfall audience will react to that? Ragnar: They’ve already been sort of conditioned that we don’t necessarily make traditional puzzle-driven adventure games. The first-person thing might throw some people off, but you don’t have to have fast reactions or anything like that. Emily: Why did you decide to do first-person? Ragnar: Because you’re inside the head of a character, it’s very different. You’re experiencing sort of this person’s inner life. And the focus is on this other character, Lissie, in the world. If you’re doing third-person you’re removed a little bit from the character, and the companion character becomes even further removed; you’re two steps away instead of one step away. And also I’m a fan of a lot of these first-person narrative games and how that genre’s evolved from, you know, Gone Home, which is very simple and simplistic these days—you go back to that and you’re like, it doesn’t have a lot, it just has a really great atmosphere and a great story. And then you look at something like Edith Finch, which is pushing that in a completely new direction. But I think [Draugen] is closer to Firewatch, mixed with a bit of Edgar Allan Poe and fjords and mountains.